That said, it was getting to be an old car. A nasty rattle had developed from deep in its bowels, the check engine light was on, and because Dale’s commute is largely relegated to either farm roads or highways, the clutch was ominously original. 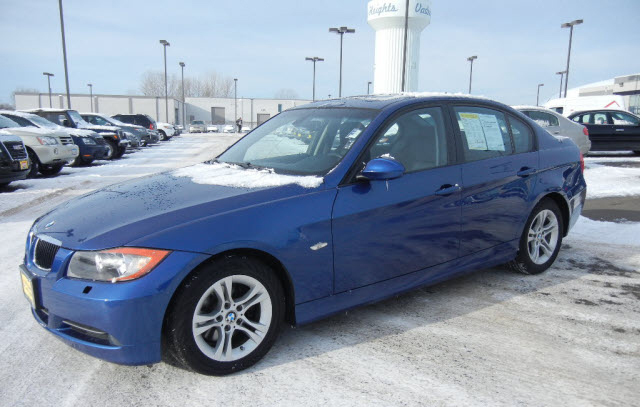 While making an appointment for the recall, Dale noticed a 2008 Montego blue BMW 328Xi (E90) proudly displayed on the dealer’s website. 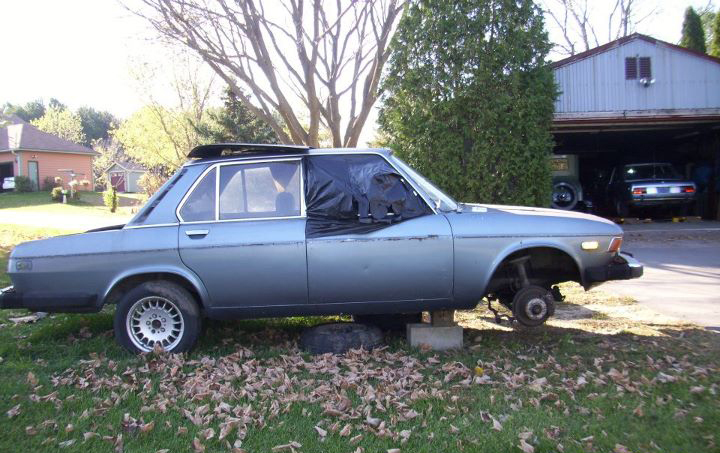 Sure, it was an automatic and those new-fangled BMWs have neither spare tires nor dipsticks. Dangerously, Dale started thinking. How long could the Subaru last? When was the first really expensive repair going to emerge? Was he tired of this little green wagon? Dale called me and asked if I wanted to go cruise car dealers. We had only a vague trajectory and no real plan to buy anything. “Let’s go looking and then have dinner,” he said. Sounds like my kind of Saturday. We decided Dale should be looking at late BMW E46 and early E90 3-Series cars. 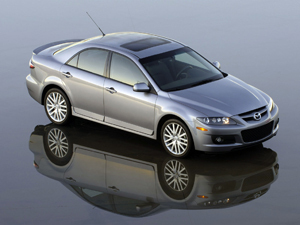 They offer that illusive combination of manual transmission and all-wheel drive. Dale wanted the cold weather package, and I was pushing him toward the sport package. I cautioned against the premium package, if possible; just more stuff to break. Our first stop offered up a very generic E46 325iXa with no sport or premium packages. Parked three cars down was a 2006 Mazdaspeed 6. Admittedly, I had kind of forgotten this Mazda existed. However, with its 274-horsepower turbocharged four-banger, six-speed manual and all-wheel drive, it could be a contender. Online reviews peg it as less refined than its rivals, but remember Dale is coming out of an old Subaru Impreza. Our next stop was a Nissan dealer who had an E90 328i Xdrive with the sport and cold weather packages and a row-your-own 6-speed. A one-owner car out of Iowa, it wore a clean record and looked like an honest ride. It was buried in the middle of several other cars so we didn’t drive it. I could tell Dale wasn’t into it. Like your narrator, Dale’s a do-it-yourself kind of guy. His automotive penchants leer at BMW Bavarias and Mercedes Benz Pontons. When not banging away on computers during the week, Dale can wire your barn or make your tractor purr. Does he change the oil on his Chevy 2500 pickup? No, but he could. With the aforementioned lack of dipstick and spare tire, the E90 is too new for people like us. Luckily at our next stop we found another E46 325iX which, despite being transmission-challenged, wore both desirable packages. It was a two-owner local car and drove beautifully. It needed a valve cover gasket badly, and at 61,000 miles it was moments away from needing a cooling system overhaul. Still, these are only an afternoon’s worth of projects, even if you’re drinking. We stopped stopping for E90s, though we did eventually get around to visiting the Montego blue 328Xi at the Subie dealer. It was… nice. Like almost all of them, it sported a not very sporty automatic transmission and premium package. 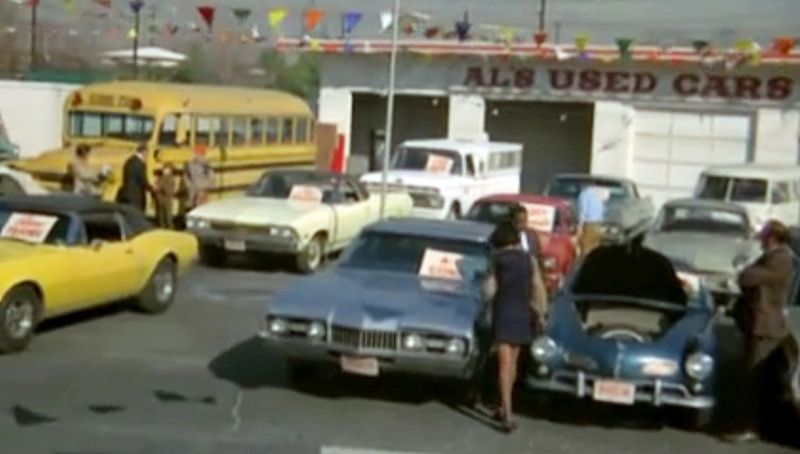 It was probably a lease return flushed to the wholesale market because there are just too many of them for any enthusiast to care. Ultimately, after its visit to Subaru, Dale decided to keep the Impreza. The dealer fixed an exhaust heat shield rattle, and the check engine light was vanquished through the application of an oxygen sensor and something called an air diverter valve. He tells me it’s like a completely different car, quiet and with improved fuel economy. Honestly, the way he uses the car the clutch could last eternally. How many miles is too many? Dale thinks 152,000 is still safe. I have no doubt, however, if the perfect E46 325iX came along, Dale could be convinced otherwise. This entry was posted on Monday, February 20th, 2012 at 11:30 AM	and tagged with BMW 3-series, BMW Bavaria, Car Shopping, Mazdaspeed 6, Mercedes Benz Ponton, Subaru Impreze and posted in Story Time!. You can follow any responses to this entry through the RSS 2.0 feed. I think you mean Xi and not ix. the E30 was ix. Anyway, I would prefer the 330xi over the 325xi for the extra 40 h.p. and also the sport package.